Mania is almost too sedate a term to describe the ongoing frenzy surrounding “Twilight,” Stephenie Meyer’s mega-hit young adult series about a devastatingly handsome vampire and the plain-Jane human he wants to sink his teeth into. Since 2005, when the first of the four books was published, more than 25 million copies of the “Twilight ” saga have been sold worldwide. At least 350 fan sites have cropped up online. And the movie, which opened Nov. 21, has been the season’s breakout hit; it’s grossed close to $100 million in fewer than 10 days, the kind of numbers that guarantee sequels. Yet only five years ago, no one had even heard of Meyer. In 2003, she was a 29-year-old stay-at-home mother who spent her days doing what any other Phoenix mom was doing: chasing her kids around and trying to keep her sanity. Going from maternal obscurity to cultural phenomenon in a scant five years is no easy feat. Like so many success stories, hers was a combination of hard work, dumb luck and being in the right place — and doing the right things — at the right time, including a brilliant and strategic use of the Web. Read our other posts on TWILIGHT here, here, here and here. From surveillance cameras in the Science Museum at the National Autonomous University of Mexico, in Mexico City. A University mentioned in Ghost Radio. Russell T Davies, the writer who resurrected Doctor Who, has received his OBE from the Prince of Wales at Buckingham Palace. Davies, who was appointed OBE for services to drama, wore a black suit and chatted with the Prince for nearly a minute after being given his honour. The dramatist relaunched Doctor Who in 2005 with actor Christopher Eccleston in the lead role. Breaking: New Species Caught on Tape! National Geographic news 24/11/08, reported the discovery of a previously unseen species of squid. 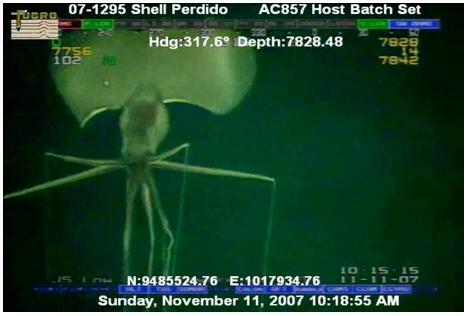 The odd, “elbowed” squid was filmed 11/11/07, at a depth of 2.5 kilometres by the Shell Oil Company who were using an ROV (Remotely operated vehicle) in the Gulf of Mexico. 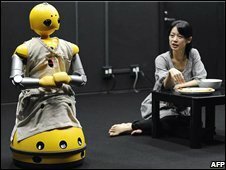 New Profession for Robots: Acting! Doctor Who Holds Tchiakowsky’s Skull! 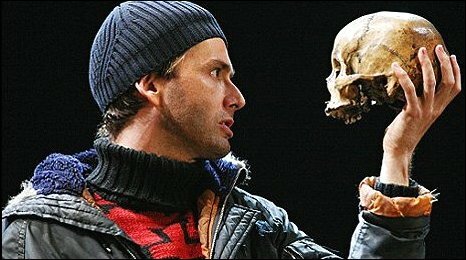 The skull held aloft by actor David Tennant in the Royal Shakespeare Company’s Hamlet was a real one, it has been revealed. Tennant held it on stage during the famous “Alas, poor Yorick” scene in 22 performances at the Courtyard Theatre, in Stratford-upon-Avon. Helicopter in Near Collision with UFO! A POLICE helicopter had a close encounter of the alien kind in the skies over Birmingham, it has been revealed. 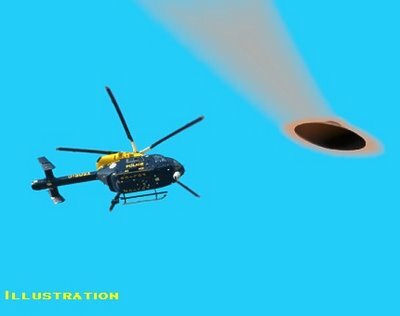 The near miss between the West Midlands police chopper and the UFO happened at 1,500ft above West Bromwich in May. The police aircraft was carrying out surveillance over the area when the attention suddenly switched from ground to sky. Beside it was a small aircraft beaming out continuous blue-green lights. It came within 300ft, forcing the pilot to swerve out of its path, and appeared to circle the helicopter before flying off.